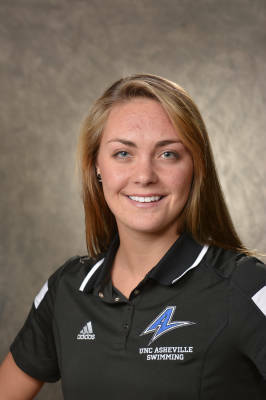 Ashley Ireland, UNC Asheville’s only senior is a triple threat for the third-year program. She is the squad’s top sprinter, co-captain and leads the team in community service. However, Ireland’s route to the school’s record books has been quite unconventional. Ireland moved to Concord, North Carolina from Michigan at age three. Her parents, Jeff and Arlene, younger sister, Kayla, and younger brother, Sam, have called Concord home ever since. It wasn’t until around the age of nine that she joined a summer league team. While she enjoyed swimming, Ireland hung up her suit in eighth-grade to pursue her other athletic endeavors at First Assembly High School. There, she participated in track and soccer and also played basketball and volleyball for all four years. Off the field and court, Ireland was a member of the National Honors Society, Homecoming Rep and Class President. After her successes in high school, Ireland decided to attend the University of North Carolina Asheville to study biology. 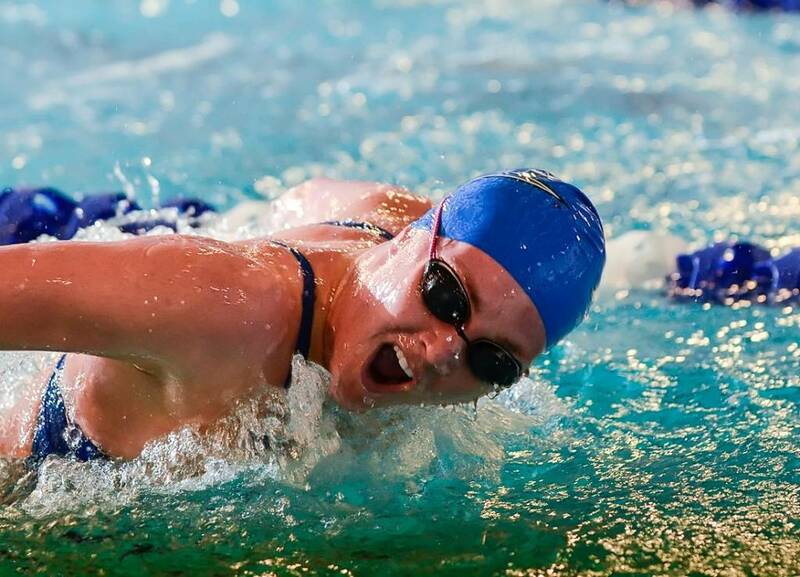 During her freshman year, UNC Asheville announced that it would add swimming to their Division I athletics program. Ireland contacted head coach Elizabeth Lykins about her excitement for the opportunity of participating in collegiate athletics. She began training with MAC Masters that preceding summer after a five-year hiatus from the sport. With only eight swimmers, the inaugural swim team at UNC Asheville had much to learn. However, Ireland took this challenge in stride, developing her skills as a sprint freestyler and butterflyer. During Asheville’s dual meet against Radford University, Ireland earned first-place finishes in the 50 and 100 freestyle, earning the Bulldogs valuable points despite the team loss. After a summer of hard training, Ireland began her junior year with big goals in mind. In five dual meets, Ireland raced to first place finishes in the 50 freestyle; solidifying her spot as Asheville’s top 50 freestyler. During the Bulldogs second dual meet against Radford, her individual and relay points were essential to the Blue and White’s win. This was a turning point in the program’s history, as Asheville had never won such a close meet. Ireland continued her dominance in the 50 freestyle her senior year. She touched the wall first in the 50 freestyle at five dual meets. Her second place dual meet finishes in the 50 freestyle in duel meets against Campbell University, Marshall University, and Georgia Southern University were top finishes for the Bulldogs despite the meet losses. During Asheville’s mid-season invitational meet, the Wingate Fall Frenzy, Ireland accomplished her goal of breaking the one-minute barrier in the 100 butterfly. She also downed her own team record in the 50 freestyle, racing to the wall at 24.25. Ireland completed her collegiate career with all best times at the 2015 CCSA Conference Championships. She lowered her personal best time and team record in the 50 freestyle to 24.17. Ireland also swam a personal best in the 100 butterfly, going under 1:00.00 for the second time in her swimming career. Ireland’s third individual event was another personal best in the 100 freestyle, touching the wall at 53.96. Ireland was essential to Asheville relays, setting team records in the 200 medley relay, 200 freestyle relay and 400 freestyle relay.